Breaking new ground in healthcare begins and ends with provider enrollment. In the midst of healthcare reform, strict regulatory compliance has become increasingly vital in maintaining revenue streams, as well as providing optimal healthcare to patients. Providers must consistently exercise due diligence in order to stay up to date on a vast array of present and proposed regulations that may impact the industry. In doing so, providers will develop strong business development habits enabling them to take advantage of financial incentives and avoid payment delays, while also maintaining high quality of care standards. Provider Enrollment is an ever-changing sector of healthcare that fluctuates largely with new regulations. 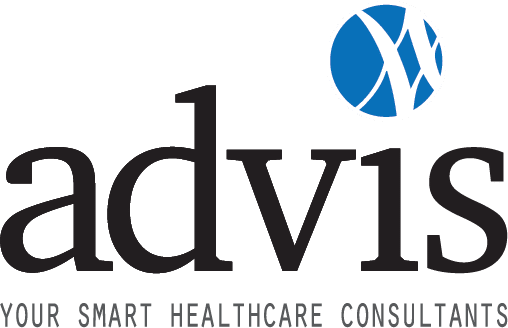 The Advis Provider Enrollment team is second to none in tracking changes and important developments to ensure compliance. 2018 was no different. There are plenty of changes on the horizon: a 2019 PECOS redesign, enrollment policy changes, ownership changes, NPPES system updates, increased scrutiny placed upon Medicare enrollment and updated reporting timeframes. What types of providers must engage in provider enrollment? How do I begin the provider enrollment process? Why would a provider need to submit a CMS-855 application? Who processes provider enrollment applications? In order to maximize financial benefits, all healthcare providers must engage in provider enrollment. This includes organizations, such as institutional providers as well as practitioner groups. However, provider enrollment also extends to individual practitioners, such as physicians and nurse practitioners. A common scenario occurs when an individual practitioner is providing services at a location, such as a hospital or a clinic. In this instance, both the individual and the organization must be enrolled in Medicare. Depending on the type of agreement between the individual and the healthcare organization, both of them may be required to complete various provider enrollment applications in order for the healthcare organization to bill on behalf of the individual for Medicare services rendered. Generally, the same applies at the state level with regard to Medicaid however, it must be kept in mind that each state applies their own unique rules and regulations with regard to provider enrollment. Paper applications are readily accessible and can be completed on your computer. However, PECOS (Provider Enrollment, Chain and Ownership System) is the most efficient method of submitting your application, as it guides each provider through the enrollment application ensuring that only relevant information is provided. In addition, PECOS reduces the amount of incomplete applications resulting in costly rejections and time-consuming requests for additional information. Completing an initial provider enrollment application can often be described as the “ground floor” in terms of healthcare providers. As long as Medicare or Medicaid services are being rendered, providers will continuously be subject to provider enrollment rules and regulations. As a result, providers must consistently notify CMS of any and all changes, no matter how insignificant they may seem. For example, providers must promptly complete regulatory filings for changes involving a practice location address, billing agency, or board of directors members. More noteworthy changes include those related to licensure and accreditation or certification status. The most complex issues with regard to regulatory filings arise when a provider elects to undergo a change of ownership (CHOW), acquisition/merger or consolidation. Most recently, providers have been subject to Revalidation Applications, as prescribed by Section 6401 (a) of the Affordable Care Act. In short, all currently enrolled providers and suppliers that were enrolled prior to March 25, 2011, are required to revalidate their enrollment information under new enrollment screening criteria. CMS’s revalidation effort will continue through March 23, 2015. The approval of a CMS-855 Revalidation Application begins the cycle in which providers will be requested to revalidate their information every five years. Please keep in mind, however, providers and suppliers that submitted their initial enrollment applications to CMS on or after March 25, 2011, are not impacted by the current revalidation process. In addition, provider enrollment is a key component in obtaining provider-based status and 340B eligibility. Provider-based status enables healthcare facilities not located within the four walls of a main hospital to realize financial and administrative benefits in that they are treated as being a department of the hospital. In order to do so, the provider-based entity must first be enrolled as a practice location of the main hospital in order to properly bill under the hospital’s Medicare provider number. Subsequently, it is in the best interest of the main hospital and the provider-based entity to submit a provider-based attestation in order to confirm that they are operating in accordance with the provider-based regulations prescribed by 42 C.F.R. 413.65. Assuming provider-based status is approved after a CMS review, the provider-based entity will then be able to seek 340B eligibility, if applicable. Ultimately, the Centers for Medicare & Medicaid Services (CMS) are the governing body with regards to Medicare and Medicaid provider enrollment. However, Medicare Administrative Contractors (MACs), play a crucial role in the provider enrollment process. Pursuant to Section 911 of the Medicare Prescription Drug Improvement, and Modernization Act (MMA) of 2003, CMS established MACs as multi-state, regional contractors responsible for administering both Medicare Part A and Medicare Part B claims. MACs were created in order to improve Medicare’s administrative services to beneficiaries and health care providers through the use of new contracting tools, including competition and performance incentives. After being integrated in the provider enrollment process in 2006, MACs have been successfully enrolling healthcare providers in the Medicare program, as well as serving as a driving force in creating various cost-effective Medicare claims processing business operations. Providers must always be conscious of changes and updates that may trigger reporting obligations. This will require time-consuming business practices as providers must maintain important information on file with reporting agencies, including addresses (practice locations, billing, correspondence, etc. ), NPI numbers, and ownership information (corporate and individual). For example, providers must report site additions, CHOWs, or governance changes within dedicated timeframes. Often times this will require the provider to report changes to multiple governing bodies, such as the state and the Joint Commission. Therefore, it is important that providers maintain an organized database of information enabling them to track all previous and upcoming regulatory filings. As a result of offering such well-grounded, flexible services, we have been able to turn provider enrollment into a “launching pad” for providers to use in order to ensure regulatory compliance.